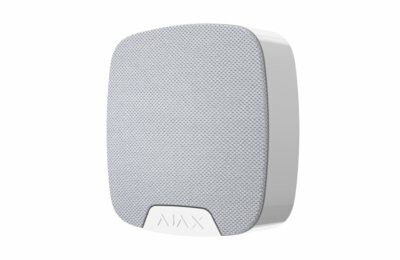 Ajax HomeSiren siren for indoors with an adjustable sound level between 81 and 105 dB with a contact for optional external LED control. 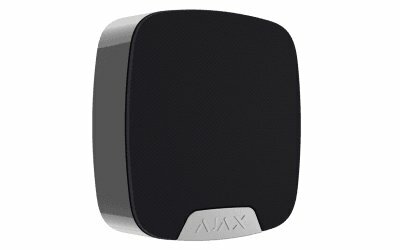 Connects to an Ajax Hub up to a maximum distance of 2000 meters (open field). 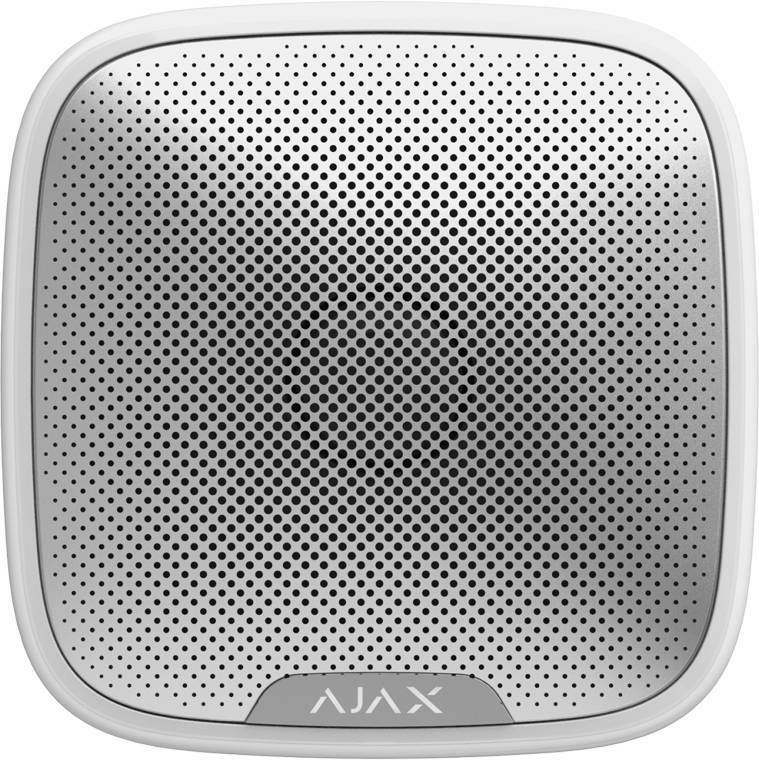 Ajax streetiren outdoor siren wireless with an adjustable sound level between 81 and 105 dB. 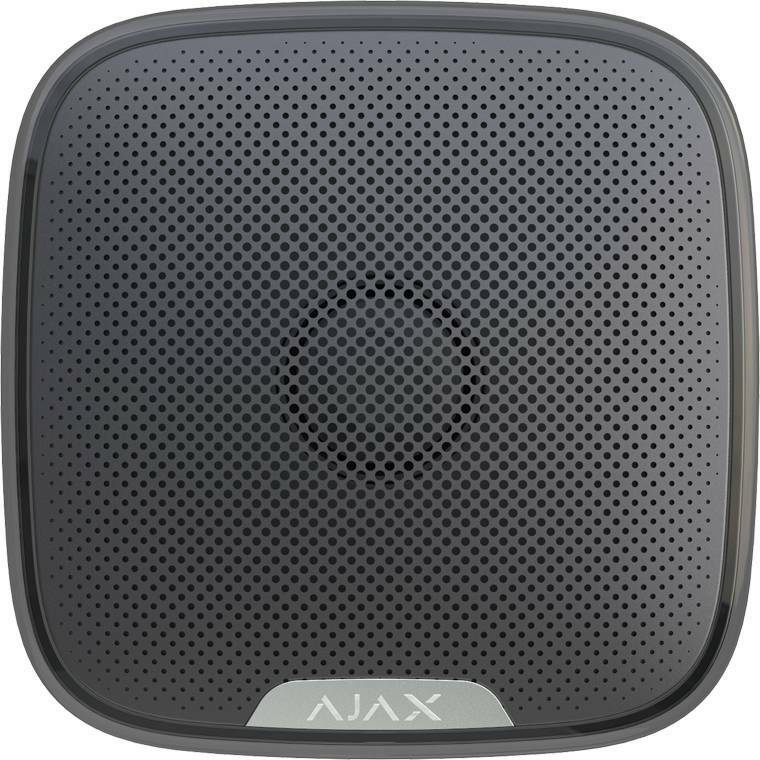 Connects to an Ajax Hub up to a maximum distance of 2,000 meters (open field). With red LED edge which lights up during alarm.